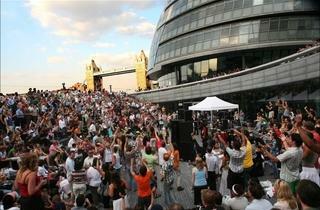 The More London Free Festival continues with music on Wednesday, Thursday and Friday lunchtimes and evenings. The schedule is as follows: Jun 29: Latin Lunchtime (12.30pm); Osvaldo Chacon y Su Timba (6.30pm); Jun 30: Greg Heath Quartet (12.30pm); Montana Four (6.30pm); Jul 1: AllStars Jazz Jam (12.30pm); The AllStars Collective (6.30pm); Jul 6: Jimmie Bone (12.30pm); Voxtet (6.30pm); Jul 7: London Fusion Orchestra (12.30pm); Hot Orange (6.30pm); July 8: BeXfactor Finalists (12.30pm); The AllStars Collective (6.30pm); Jul 13: Nicolas Meier Trio (12.30pm); K-Groove (6.30pm); Jul 14: Erica Steenkamp and Dean Dyson (12.30pm); Pacifico Blues (6.30pm); Jul 15: The London Experiment (12.30pm); The AllStars Collective (6.30pm); Jul 20: PD3 (12.30pm); Mim Grey (6.30pm); Jul 21: Respect Music Presents... (12.30pm); Divas in London (6.30pm); Jul 22: Clare Nicolson (12.30pm); The AllStars Collective (6.30pm). 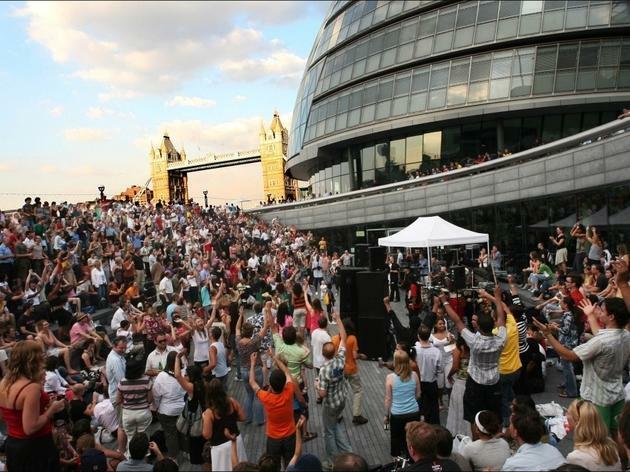 This outdoor sunken amphitheatre seats 800; there's no need to book and cushions are available for hire. The festival continues with theatre (Aug 4-Sep 4) and film (Sep 14-30). See the website for performance updates.